Home / aoa / boyfriend / exid / ft island / jeong sewoon / k-wave / k-wave 3 / kpop / monsta x / music / news / wjsn / 2 zones sold out for K-Wave 3 Music Festival! 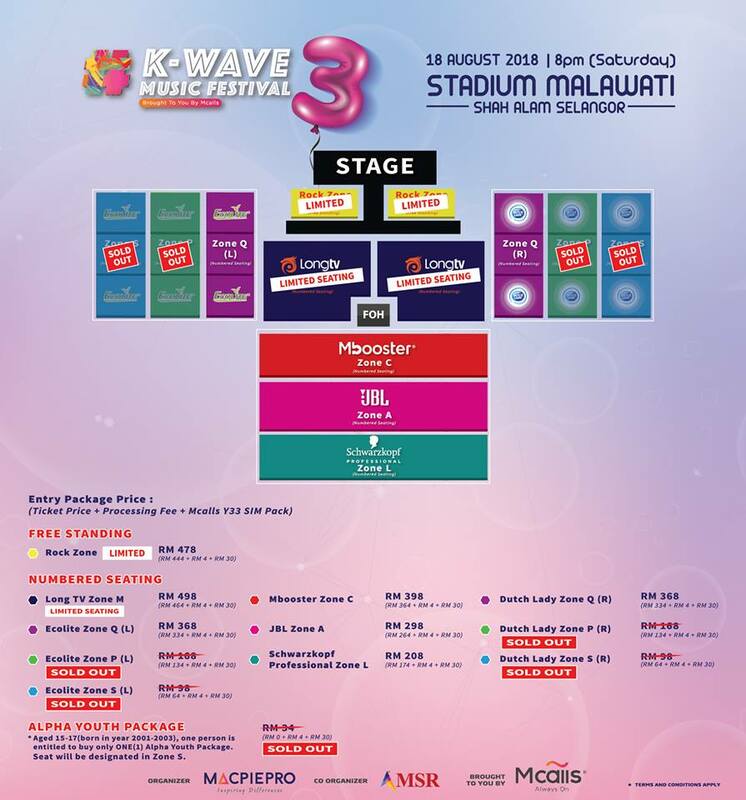 2 zones sold out for K-Wave 3 Music Festival! 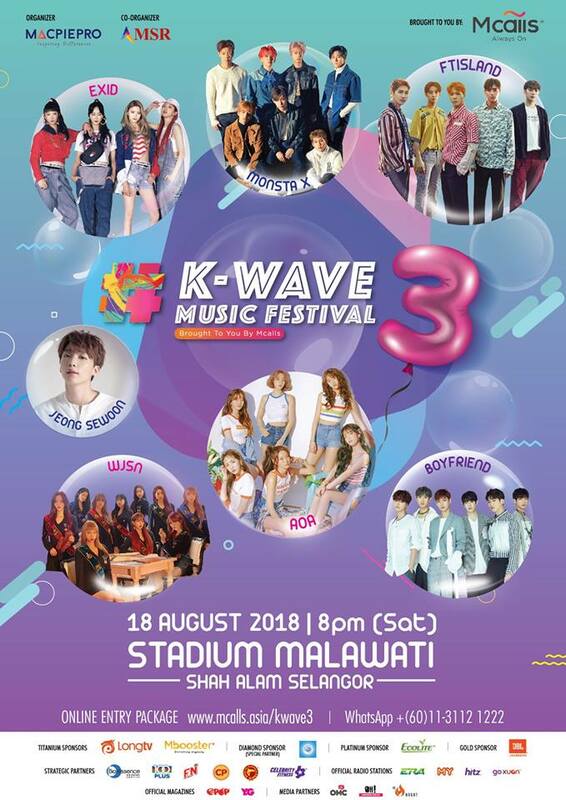 In about two weeks’ time, K-Wave 3 Music Festival will be taking place in Malaysia and tickets for two out of the four zones are already sold out. Only two zones are left now with limited seats. Seven popular K-Pop acts will be performing for their Malaysian fans. 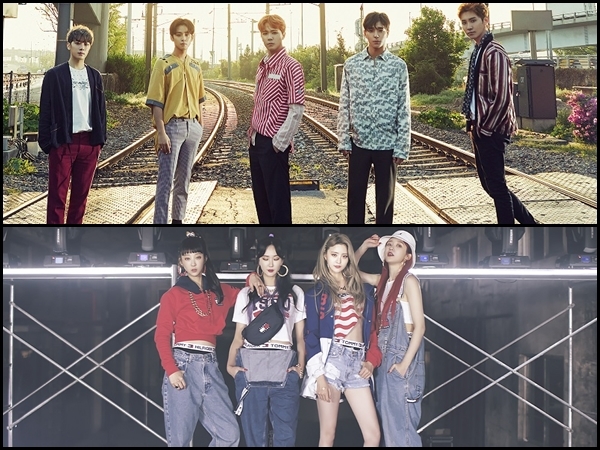 As revealed at the second concert earlier this year, Monsta X is one of the headliners for the concert. The other six acts are FT Island, EXID, AOA, WJSN, Boyfriend and Jeong Sewoon. Who among these K-Pop stars do you want to see the most? An updated seating plan showing the limited seats available. Each Entry Package consists of 1 Concert ticket, RM4 processing fee and 1 Mcalls Y33 SIM Pack worth RM30. Fans aged between 15 to 17-year-olds (born in 2001 to 2003) will be able to purchase it for only RM34. Meanwhile, 15 to 17-year-old fans who are also Mcalls users can redeem the Entry Package for almost free, by paying only the RM4 processing fee. Organised by MacpiePro and co-organised by MSR, the first K-Wave Music Festival hit the music scenes in Malaysia last year August. Its success spawned a follow-up in January this year and the upcoming concert to be held this month.